Bob Carlisle was born in Los Angeles, California in 1956. At the age of seven Bob began taking private guitar lessons after his father had bought him a Montgomery Wards guitar on his seventh birthday. Bob Carlisle's father was the greatest spiritual influence he has ever known or will ever know. Carlisle truly enjoy writing and performing. At the age of sixteen, Bob joined with Erick Nelson to form the band, Good News, later joined the group, Psalm 150. Later went to college on a music scholarship. Carlisle began doing more and more recording session work as a singer, in Los Angeles. Through this session work Bob was fortunate to have a relationship with songwriters, Tom Kelly and Billy Steinberg Tom Kelly and Billy Steinberg who wrote the song "True Colors", "Like a Virgin", etc. Bob Carlisle was playing at a place called Rosie's in L.A., when one night, in the middle of a show, he just had to leave the stage. He felt his spirit had boiled to the point that he just couldn't do it anymore. Randy Thomas and songwriter, Sam Scott came to tell Bob they were starting a band, and to ask if he would consider being a part of it as lead singer. The band was later named Allies signed to Light Records before we had even finished our demo? Allies ran its course in 1992, There was no rift in the band, we just felt that it was time to put it to bed. Record sales weren't what they once were, and it was just time. It was time to move on. Bob Carlisle is a man head over heels in love with his wife and kids. Bob says "My first calling from God is not to be a singer, but rather to be Jacque's husband and a faithful father to Brooke and Evan." 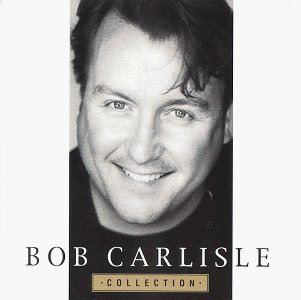 Bob's first solo project was the self-titled, "Bob Carlisle" in 1993. In 1994, his second album The Hope of a Man was released, both on the Sparrow label. 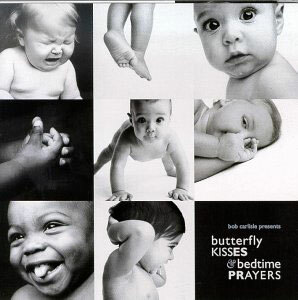 The Butterfly Kisses album was out in 1996. Carlisle signed with Diadem Records after completion of the first 2 albums. 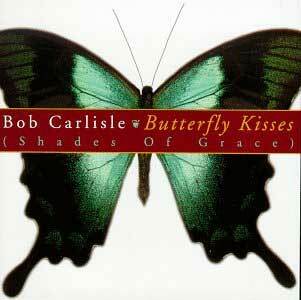 Butterfly Kisses (Shades of Grace) was Carlisle's first release through Diadem Records. The song Butterfly Kisses was written as a love letter from a dad to his sixteen-year-old daughter and it was designed for one person and one person only Brooke Carlisle. Then almost overnight, Bob found himself battling for the No.1 spot on the Billboard which he won. Just an FYI a BUTTERFLY KISS is when the eyelashes of one are fluttered against the cheek or eyelashes of another. 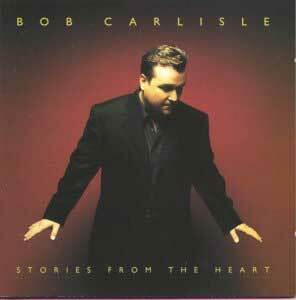 Since Butterfly Kisses, Bob has been nominated for 8 Dove Awards, received a Grammy for Best Country Song in 1998 and has now sold over 3 million albums. Bob has written 6 books, and has completed two more albums, Stories From the Heart and Nothing but the Truth. Carlisle's third album for Diadem Music, NOTHING BUT THE TRUTH is a soulful, energetic reflection of that clarity, of the freedom he discovered digging around the old neighborhood. 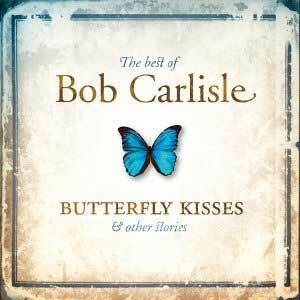 Bob Carlisle's latest album BUTTERFLY KISSES & OTHER STORIES is a compilation of some of Bob's biggest hits such as: "Butterfly Kisses", "Forgiveness", "Father's Love", "The Truth" and the new hit song "You're Beautiful" plus two other new songs "Abba Father" and "My Testimony".